Rediff.com » News » Should the dragon be kept out of Kashmir? Should the dragon be kept out of Kashmir? Will China dump Pakistan? Will it continue to fluctuate in its policy on Kashmir? These intense questions and many more were raised at the international conference on the violence-hit state held in London on Tuesday. Angelica Jopson reports. The Chinese will finally dump Pakistan. 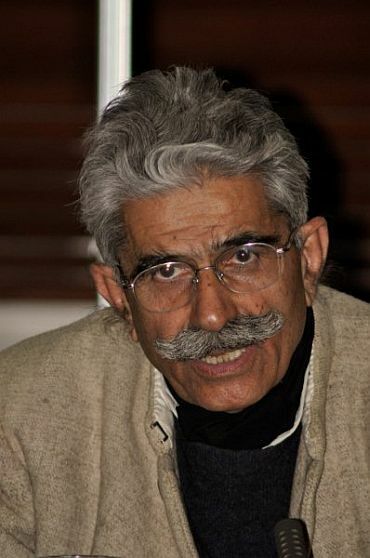 This was the view expressed by Major General Ashok K Mehta about the warming relationship between the two countries at the conference on Kashmir. 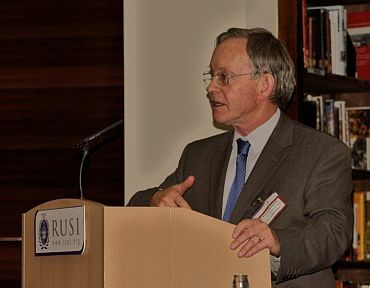 The conference, facilitated by the British government think tank Royal United Services Institute, aimed to take stock of the Asian powers in the region, in particular the role that China has taken in the long standing dispute. The general described China's involvement as part of a 'greater design' by which the rising power is hoping to use its position in Asia to gain access to the Arabian Sea. "To bring China into Kashmir will add an unknown dimension," said Mehta. China, historically fluctuating on its policy on Kashmir, has now grown closer to Pakistan and has demonstrated its stance on India's sovereignty in Jammu and Kashmir by refusing to stamp Indian passports from the occupied territory and denying a visa to Indian Lieutenant General B S Jaswal last August. Mehta urged Pakistan and India to work together instead and not allow China to fulfil its wish to "tri-laterlise" a bilateral dispute. Dr Ishtiaq Ahmad, Oxford University Fellow and commentator, retorted that there is no moral ground to question China's involvement and that India cannot tell China to stay out because India "never budges" on the issue. Dr Ahmad believes the move by China is the result of inaction and unwillingness on the part of the Indian government to regard J&K as a serious issue. "China shares a common frustration with Pakistan -- India not moving an inch," he said. Dr Ahmed added that China deserves recognition for taking an interest in the region, adding that up to now the international community have paid little more than 'lip service" to Kashmir. 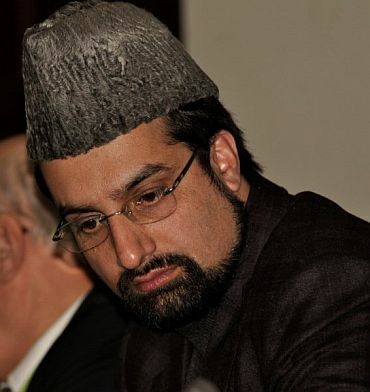 Hurriyat conference leader Mirwaiz Umar Farooq told the conference he believes that Kashmir is being exploited for minor political gains and urged India to begin to see J&K as a serious and pressing issue and not as a Pakistan's creation that can be simply "wished away". Farooq rejected fresh talks by New Delhi interlocutors in favour of attending the event. "The majority of people in Kashmir have lost faith in the institute of dialogue," he said,adding, "We don't want an agreement, we want a solution." 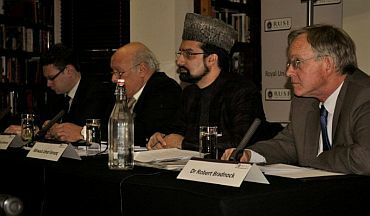 Quoting the results of last years first survey in Kashmir, academic Dr Robert Bradnock agreed with Farooq that the politics of the issue is still overshadowing the reality on the ground. "The resolution of the conflict is more important for the people of Kashmir than the global players that can find a solution," he said making reference to overwhelming Kashmiri responses that peaceful resolve of the dispute was a priority. The lack of a Kashmiri presence in previous failed talks ranked high on the agenda of the conference. 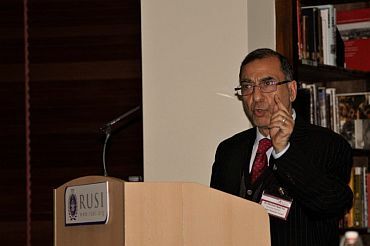 Dr Ghulam Nabi Fai, executive director of the Kashmiri American Council, summed up what the exclusion of a Kashmiri voice in future talks would be like saying that if India and Pakistan attempt to negotiate without the people of Kashmir "they will be performing Hamlet without the Prince of Denmark." Following what has been dubbed the Summer of Discontent, Kashmir has seen escalating incidents of violence and protests characterised by stone-pelters and a high number of police arrests. "Our means of expression has been ignored," Farooq said and reiterated the need for the views of the people of the region to be integrated into proposed solutions. Mehta believes that the issue of China still stands if the negotiations includes those living in the disputed zones. "The Kashmiris will have to think twice whether they want the Chinese in the region," he said. The conference was held as three top Bharatiya Janata Party leaders -- Sushma Swaraj, Arun Jaitley and Ananth Kumar -- were arrested on Tuesday near the Lakhampur border of Jammu and Kashmir attempting to enter the state and hoist the national flag at Lal Chowk in Srinagar on Republic Day. They were released from house arrest on Wednesday.